I was tired and did not complete all of the workouts. I managed to only run 3.56 miles. I was determined to run but when I got to the gym I realized I did not have a running bra. So instead of going home to get the bra and return to the gym, I went to Target instead. I know. Excuses. Shame on me. I did not run on Saturday morning because I went to Evanston to volunteer at Exchange 35 for the Madison to Chicago Ragnar Relay. It was fun but also tiring. I was responsible for directing runners and vans to the exchange area. Once I was done, I headed home to eat and take a nap because I had a birthday/baptism party at 4pm. It was definitely a LONG day for me. 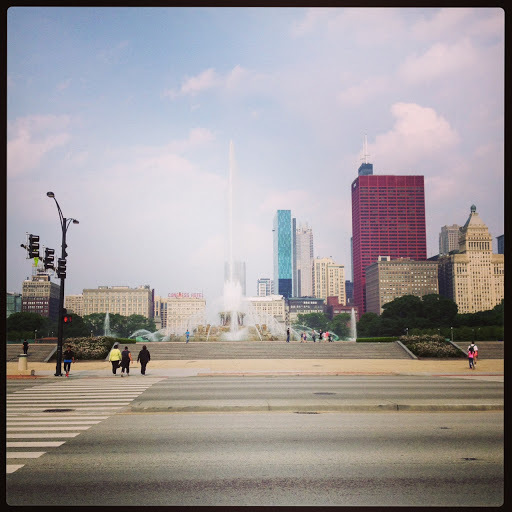 Since I did not run on Saturday I had to run on Sunday. It was a gorgeous morning for a run. However, I was kind of tired and struggled to run 9.01 miles. Yes, I am adding the .01 because that’s what it shows in my Garmin. Total miles ran this week is 18.48.I am hoping this week I do a better job with my workouts and runs. My next race isn’t till June 22nd in Seattle and I am so glad about it because it is tiring to travel and race three races back to back to back. I've forgotten a piece of gear before and then decided to shop or cook or eat or work on blogging or Facebook instead. It's happend more frequently than I care to admit, LOL. 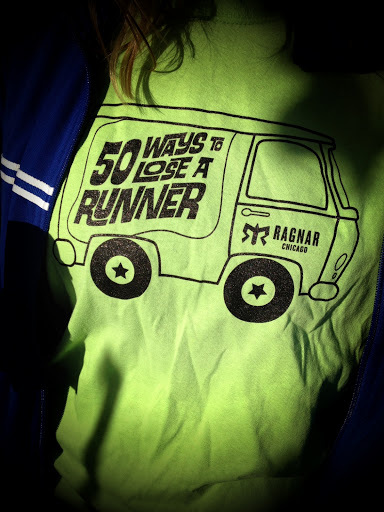 Would love to hear more about your Ragnar volunteer experience – did you see anything noteworthy? Sorry that you were feeling tired this week but now that you are on summer vacation you'll have much more time to get rested up!!! I was bored in the beginning because the first van didn't show up till about 9am and then the runner about 15 minutes later. Then I had to be on the lookout for the vans and the runners so it was constant turning and directing with my hands. Overall, the best part was looking at the decorated vans. Next time for sure I will take a chair because it gets tiring from standing up the whole time. Then again, I am sure the runners were more tired than me. A few of them asked me how much longer till the exchange. Pyramid intervals, yes that's what they're called!! I could not remember it when I was writing my post.